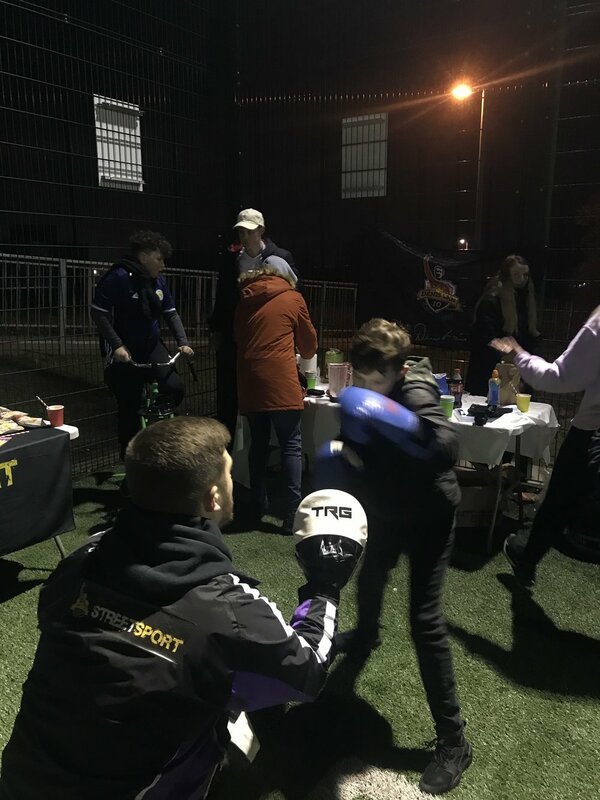 On Friday 1st March the Denis Law Legacy Trust’s flagship programme, Streetsport, included a special nutrition event at their regular Friday session at Northfield’s Bill Burr astro pitch. Highlights included the RGU GoGreen smoothie bike, various fun and educational games plus healthy snacks provided by Aramark and Eat RGU. Friday nights at Northfield regularly attract more than 100 young attendee’s so it was great to showcase this in front of so many. 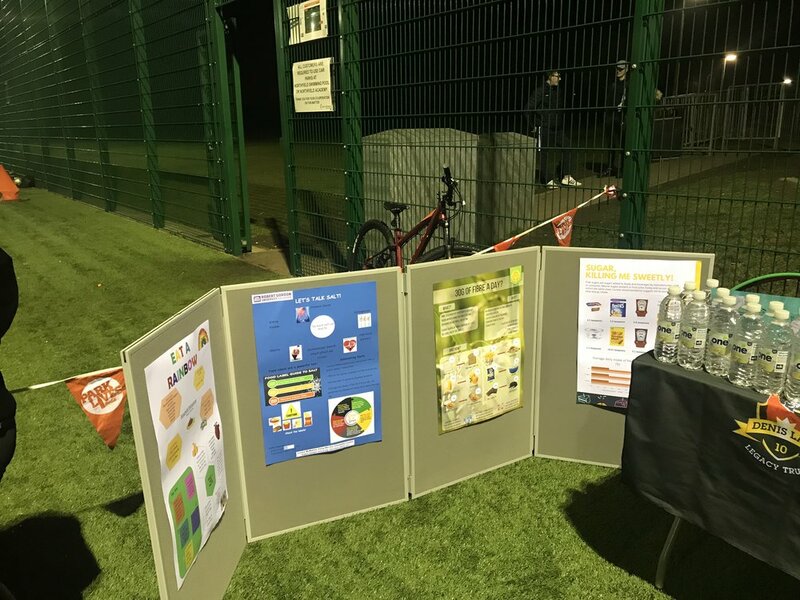 “That Friday’s session was our first attempt at running an educational type event at one of our diversionary sessions and stemmed from trying to go beyond just providing young people with physical activity opportunities. “We found ourselves asking what more could we do to help participants be both healthier and happier which then inspired this idea. “The planning behind the event was initiated by myself and Calum, one of our Streetsport Assistants. We decided on nutrition being the focus due to both what we had witnessed at our sessions and from discussions with young people. “In order to pull something meaningful together we reached out to a couple of experts; Jennifer, Aramark’s Health and Wellbeing Coordinator, and Guillermo, an RGU Nutrition student. “We focussed on elements of diet that young people are more likely to have control over; their drinks and fast food. We also wanted to make sure the messages we were trying to get across were engaging and visual. “Guillermo had previous experience with sugar and fat content demonstrations on prior placements so replicated this at our event. 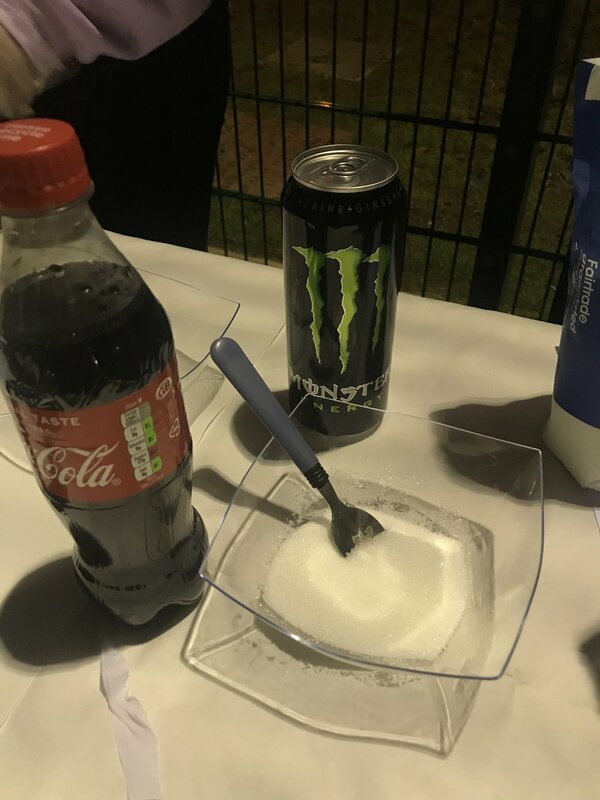 The impact of seeing the actual sugar and fat in popular drinks and fast food laid out in bowls resonated strongly with our young participants. “We also had a game which consisted of separating different foods into healthy and unhealthy groups, all of which added up to 2000 kcal which took many by surprise. “The success of this event has inspired us to continue pursuing educational topics and passing on important messages to our target audience. “Next up we’d next like to focus on resilience as well as alcohol and drug misuse. Again, it would be great to work with specialists in the field who can help teach us and our young participants in exciting and engaging ways”. Deborah Burnside, Director of Operations at Aramark added: “Aramark are delighted to be working with the Denis Law Legacy Trust again. We love innovation and our mission is to enrich and nourish lives and in particular around ways to help young people feel healthier. If you want to get involved with Streetsport and in particular within our Streetwise campaign then please do not hesitate to get in touch. We’re always on the lookout for volunteers and would greatly appreciate your help. RGU Student Guillermo with volunteers, participants and a lot of sugar!